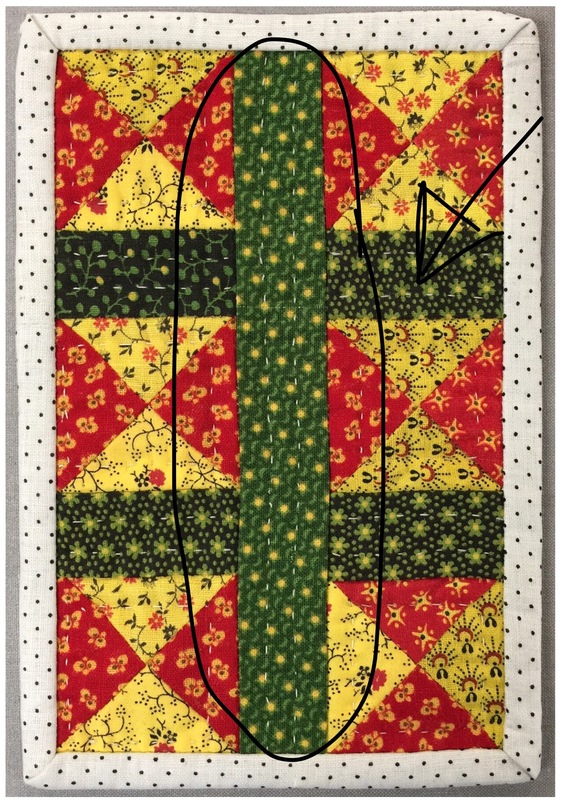 The other day, I showed you the tiny quilt I made and asked if you could tell which piece of fabric was not vintage. Several of you guessed that the white binding was new. Nope! It was the green sashing piece right down the middle! I would have used a vintage piece, but I didn’t have one the right size. That’s okay, it made for a fun little guessing game! 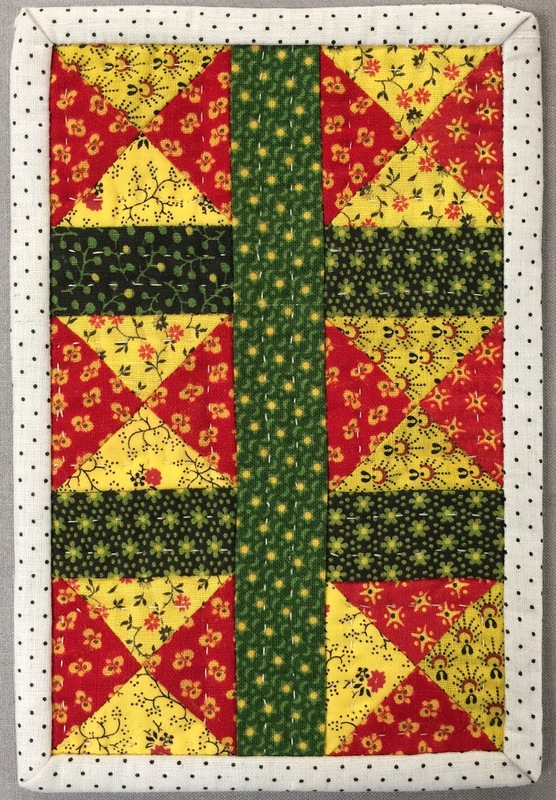 This entry was posted in Vintage Fabrics. Bookmark the permalink. 6 Responses to And the answer is….. It WAS a fun little guessing game. In any case, it seems to be a very good choice on your part. Have a wonderful day, Katy. Thanks for the reveal — I was wondering, and I was so close! I should have guessed it because I have that repro, but then I have some of the others too. Great job and thanks for keeping us guessing!